With over 1.28 BILLION active users on Facebook, 132 Million of them in the United States and 5 new profiles being created every single second, you can’t afford not to have your Business on Facebook. Businesses of every size are learning how to leverage the power of Facebook to market their services and products to potential clients as well as existing ones. With these HOT (Hands on Training) workshops you will be lead through a step-by-step process for getting started on building a presence, reaching your audience and optimizing your marketing strategy. 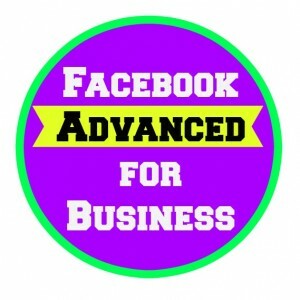 If you are brand new to Facebook and have not yet gone through our Facebook Basics for Business then I highly suggest you do that before jumping into this training. You will learn about 85% of what you need to know in this foundational training.